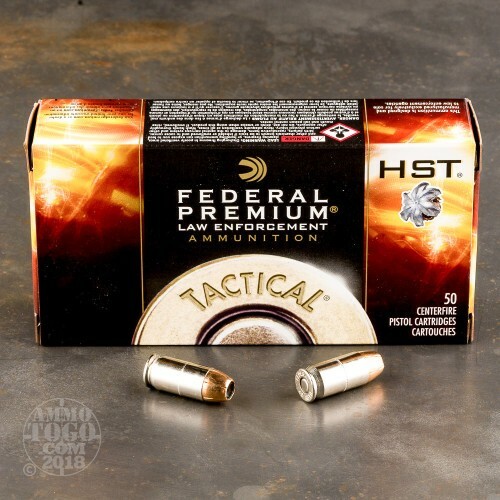 Federal HST ammunition was developed for law enforcement and is now available to the public. 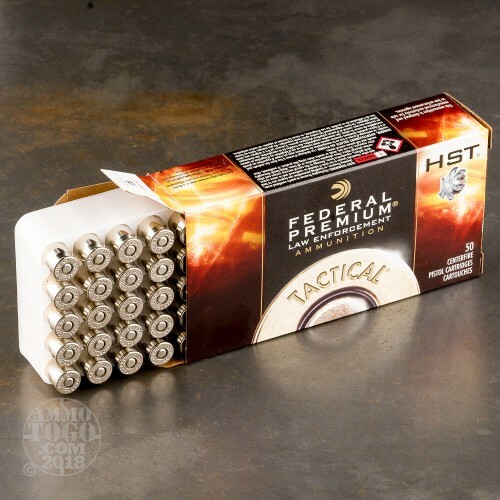 Designed to produce high levels of penetration and expansion, HST bullets feature a strategically notched design that expands outward into six sharp petals to stop an attacker quickly and effectively. Each .45 ACP cartridge in this case of 1,000 fires a 230 grain bullet; this ammo is US-made with non-corrosive Boxer primers and nickel-plated brass cases. 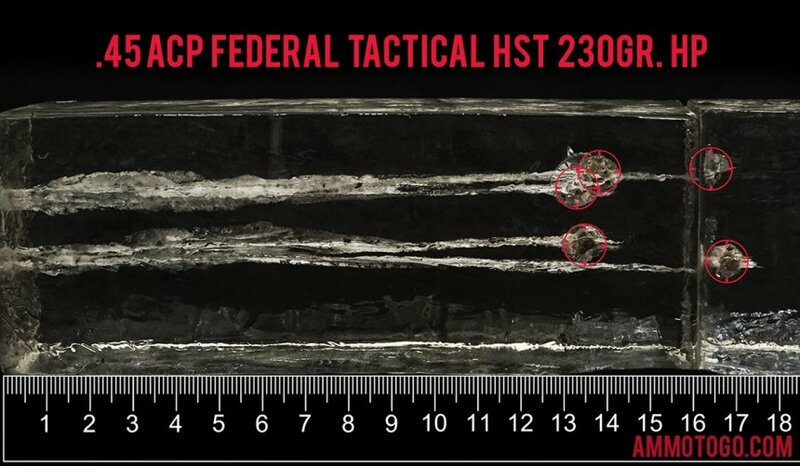 Penetration Depth Compared to 45 ACP (Auto) Tested 0" 10" 20" 30" MIN 8.3" MEDIAN 16.7" THIS AMMO 13.7" MAX 32"
This by far the best defensive 45ACP ammo available. 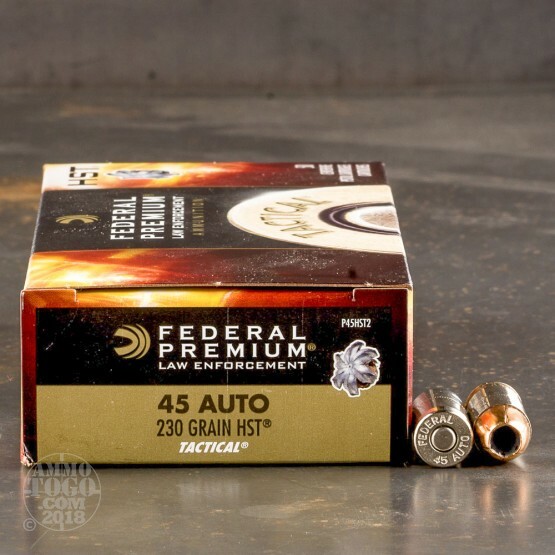 This ammo is devastating, I use it for EDC as well as hunting. Last year I shot a 262 lb bore hog at 25 yards with a Sig 5” barrel super match P-220 SAO the hog dropped like it was electrocuted. Shot placement was aimed behind the left shoulder but the hog turned towards me when I fired. The bullet went in destroying the left shoulder and came to rest on the right side just under the skin at the rear of the rib cage. You just can’t ask for better performance than that. 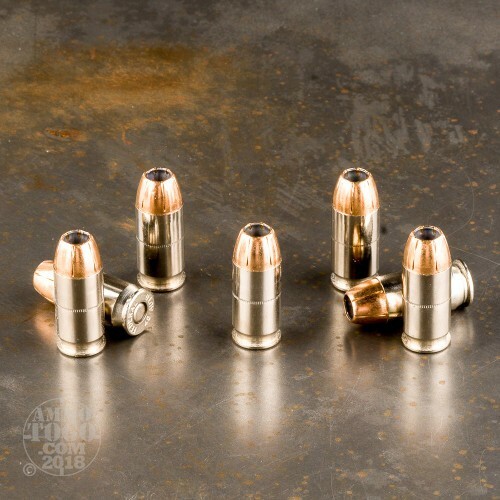 I have found that the 230 grain non +p loads are better performers than the +p loads with less wear and tear on your weapon and less muzzle blast and recoil. I will also say this rings true for the 9mm ammo as well in personal defense arena. I personally carry the 124 grain non +p in my 320 and the non +p 147 grain in my 938.